Blockpit is ever-growing and on the lookout for web developers to come aboard the team and take part in the early days of a rising business. Therefore, on October 18th we were present at FH>>next career fair at the FH OÖ Campus Hagenberg. This fair is the biggest career fair for IT and media at an Austrian university. Accordingly, there was a large crowd of students who were not only interested in jobs, but also came to our booth to discuss the potentials and risks of blockchain and virtual currencies. Hagenberg repeatedly achieves top placements in university rankings and has an excellent reputation far beyond Upper Austria. The students are early adopters and often one step ahead of the market. We tick similarly at Blockpit. Thanks to our high innovative force, being a company that is barely one year old, we have been nominated as "Blockchain Project of the Year" for the futurezone Award 2018. Our CEO Florian Wimmer, a Hagenberg alumnus himself, is Forbes 30 Under 30 and Austria's "Founder of the Year" 2018. Subsequently, the participation in the career fair represents a journey back to the roots for Blockpit. Almost half of our 15-strong team has studied at the Hagenberg campus. 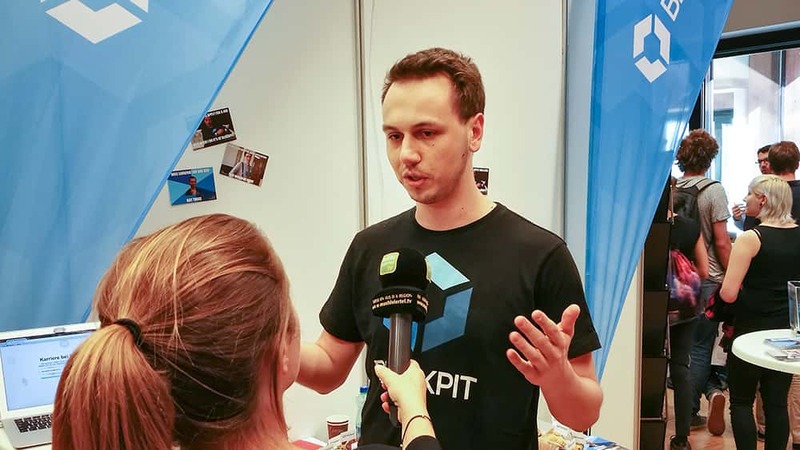 Mathias Maier, CTO and co-founder of Blockpit, also obtained his bachelor's degree in Hagenberg and attended the career fair himself to chat with next generation tech talents. As already mentioned - many students visited the Blockpit booth not only for job opportunities, but also to discuss about blockchain and cryptocurrencies. 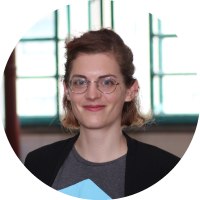 They often have a portfolio of their own and are not only interested in a career at Blockpit, but in the product and technology behind it. It's exciting to see their enthusiasm reflect our passion about Blockpit. If you missed us at the career fair, you can find out online about our job offers. We look forward to receiving your application at [email protected].